Every once in a while, I hit the road with my long-time buddy, a 1967 Chevy Impala, still sleek, still perfectly jet black, after everything we’ve been through. I mean if levels of being busy can ever be determined, then I’m rocketing up high so you can’t really blame me if I kind of overuse my ride. The Impala has weathered so many uncomely incidents, running and rolling through the years and probably still can for the next fifty or so as I have definitely no plans of letting it go. And because of that compassion, I decided to give it its partner in crime. Well, aside from me of course. That means it needs something to keep its body clean, sleek and shiny, whatever happens. I’ve seen this tool on the internet some days ago and I thought for a moment it’s quite ridiculous for such a petty-looking thing to be so over-capable. So out of necessity and curiosity as well, I bought the X5 cleaner. The steam mop is basically a mechanical mop that uses steam to enhance its sanitizing capacities. The thing is, it is not just a mop, as of course, why, or rather, how will I mop my car? After all, I bought the appliance mainly for the Impala. It is a mop yes, and it is also a steamer—a pretty much all-around steamer. It is, as the ad goes, a multi-surface floor steamer, carpet steamer, handheld steamer, window, glass and mirror steamer, and a garment and upholstery steamer. So they basically made good use of the science of steam, a round of applause for that. 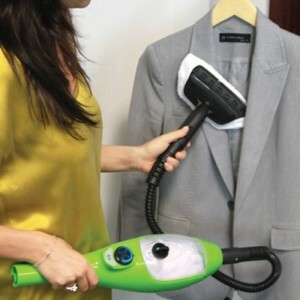 I bet you’re wondering how a mop can also be a garment steamer (gross, right?) but the trick really is just simple. The X5 cleaning tool is just a steam processing body filled with water, and the secret is all in the head. You can detach a mop and replace it with another type of cleaning head and voila. You got yourself a glass cleaner. Detach the glass cleaner and attach the one for the garments and voila—a handheld cloth steamer. So I didn’t only have a cleaning appliance for my car, I incidentally got in my hands a multi-purpose home cleaner. Before the cleaner, I used different cleaning agents and chemical cleaners for the windshield and the body of my car. These often leave smudges and marks mostly across my windshield that no matter how hard I tried to wash with water, it just wouldn’t go off. I tried this tool against the black surface and it slid smoothly, comfortably sailing across the metallic body and doing its job quite exceptionally. When I tried the glass steamer on my windshield, it left the surface streak-free, literally not a single mark, not even a wipe mark that needs serious washing or rinsing. 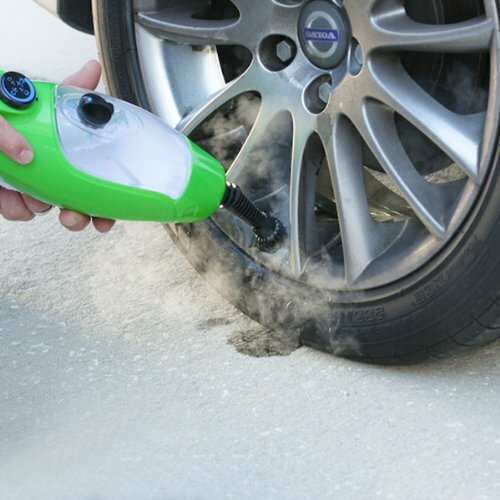 I also tried the device on the car floor and because of its convenient design, it easily slid inside with no trouble whatsoever, leaving the whole car squeaky clean. What’s also impressive about the steam mop is that the water quickly turns into steam in less than a minute, or probably less than half of it, so if I needed a quick sweep, then I just fill the tank with water, then slide the thing off to wherever it needs to. Honestly, this has impressed me and I seriously think that one day, the X5 cleaning mop will become as “normal” as a regular mop, a necessity for every household. Video testimonial of this product available here.